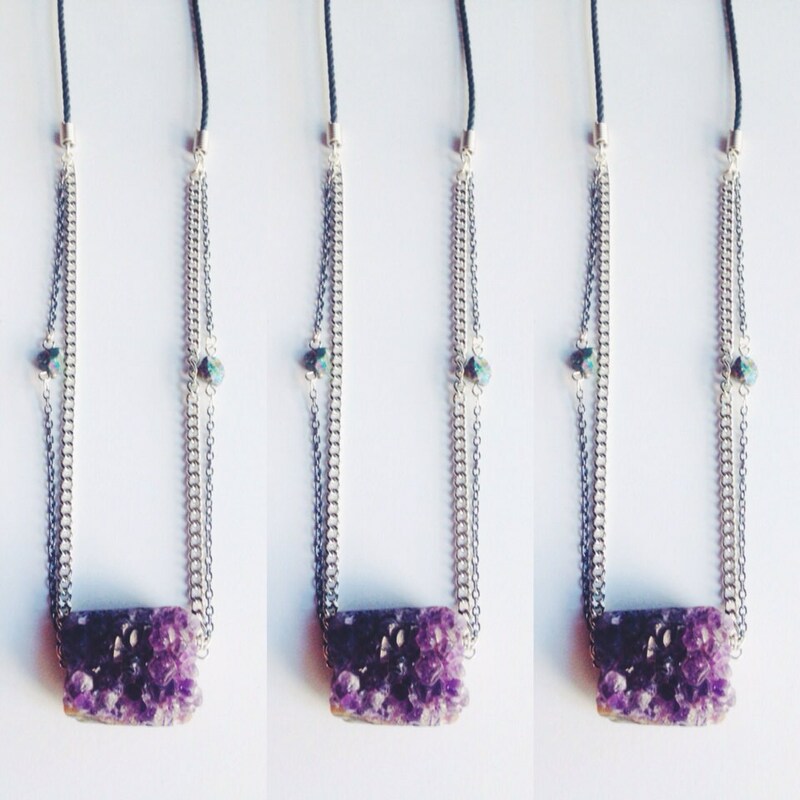 This edgy Bold Amethyst Necklace is perfect for any rockin bohemian spirit. Rad amethyst pendant is hung on a 30 in chain that is made from black leather, silver chain and rainbow titanium beads. Product may vary from pictures shown, no two minerals are the same, making them even more special. If you would like a specific length in chain, please message.